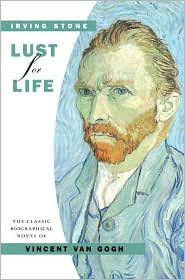 South Meets North: "Lust for Life"
I'm in the middle of this autobiographical novel about Van Gogh. And let me say that I know nothing about art or Van Gogh. Sure, I've seen some beautiful things and can look at paintings and determine if I like them or not, but I wish I knew more about the techniques of and understanding art. This novel was recommended to me by one of the top artists in the U.S. 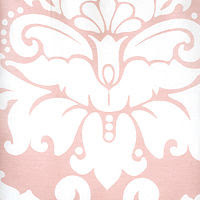 It has five-star reviews from the big book sites, such as and barnes and noble. So I figured with all of those reviews, this should be a "must-read." Since this novel published in the 1930's has no pictures (and yes, I checked), I decided to google some of Van Gogh's work. I know his stary night and the sunflowers work, but I wanted to see more. The more I see his work, the more I realize I need to get back to reading. The work is beautiful but I still don't know if I "get it." Anyone? I have never read the novel but would love to hear if you like it. Read Van Gogh's letters to his brother Theo ages ago and remember really enjoying. AA - that is funny you mention that! I have never even heard of Theo Van Gogh until reading this book and he was quite a brother to Vincent, supporting him for years and years because he believed in him. I'll go check that book out, thanks for the rec! Yeah, I have to admit that Van Gogh's style of art has never been my personal favorite. And art is intended to be pleasing to the viewer, right? Someone once told me to buy and enjoy art that I truly enjoy, not just because it is considered a 'great' work. I'm not saying van gogh wasn't great, just not my favorite art. I have 2 Van Gogh prints in the house. I LOVE them. (they're lesser known ones) I was able to visit the Van Gogh museum in Amsterdam and would love to hear about the book... I"ll find it on your Goodreads page and add it to my list! He was an interesting character. In college I studied van Gogh quite a bit and at that time, I really didn't "get it" either. However, I became intrigued with his style when I saw several of his works at the Phillips Collection in DC. The amount of paint that he put on the canvas is unreal! Then, this past Feb we visited his museum in Amsterdam. It was very impressive as well. Then, what finally really turned me on to him and his work was when we were in the South of France this summer and we sat at the same cafe as in the photo you have posted and actually got to see what he saw--I fell in love. This painting is EXACTLY the feel of the street, the cafe, as well as the brightness of the Provence stars as night! We then went and visited the mental hospital where he was being treated and where he painted so many of his sunflower paintings. Looking out of his room, sunflowers are what was looking up at him. It was an incredible experience! So, I've learned that you have to see and experience things first hand to really appreciate the art as well as the artist. Books are nice to read; however, they do not do the artwork justice. Thanks for your post! Miss you in Italy! This has to be the most interesting post I've read on my blog! I can't believe you went to the hospital and SAW the sunflowers and saw the vibrant colors and sky that he painted in Provence, something that most of us will only ever read about and try to imagine. You are right, there is a lot you can learn from a book, there are some things that until you actually go see with your own eyes, you will never really understand. One thing I realized with him, was that he was a man of conviction who lived a rather pitiful and destitute life. It makes you admire him all the more that he gave up almost his entire being for the love of paint. Thanks again for taking the time to write, it meant a lot! I hope you had a wonderful Thanksgiving, I heard you had one of your famous parties (one day will you teach me about to throw one). I wish we were there! !